It’s a very interesting road we’re all walking now – not that it hasn’t been interesting since we each began. Celestial energies are providing us with every opportunity to awaken to our true nature and live our lives based on that awakening. We are less than four months from that all important date of December 21, 2012. While some fear it, believing that it could mean the end of everything, there are those of us who look forward to the adventure and mystery that awaits. 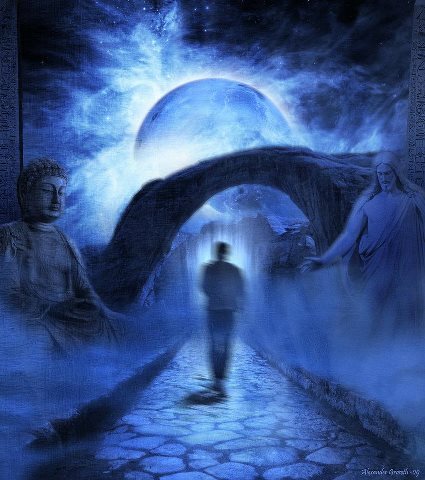 Believing that the change coming is one of greater Cosmic Consciousness, we look around and see signs of its coming. Time has definitely sped up, even though our clocks are still registering the same apparent passage of time. Lessons, whether of a crisis or elation state, seem to be happening more frequently and with more intensity. There just is no more putting things off until tomorrow or next week or next year. Act now or lose the opportunity. The closer our solar system travels to the center of our galaxy – and the black hole that is there – things seem to just keep “picking up the pace.” For some this can be frightening, but, to me, it presents us with a rare opportunity to make changes in our lives that quickly produce results. The thing is, we each have to recognize the power we hold in our hands – more accurately, our minds and hearts. For it is through where we focus our minds that the Universe (by whatever name you choose to call the Creator of All-That-Is) will match our vibrations and manifest it into our reality. Focus on fear, dread, doubt, etc. and you will receive it…more quickly. Focus on joy, unconditional love, peace, etc. and that too will manifest for you…more quickly. It’s all up to each of us how we want things to manifest in our lives for the Universe doesn’t really hear our words, it feels our vibrations. May your vibrations bring you peace, prosperity, health and happiness! The Blue Moon of August – the second Full Moon – will take place on Friday, August 31st at 9:54 a.m. EDT. in the sign of Pisces. 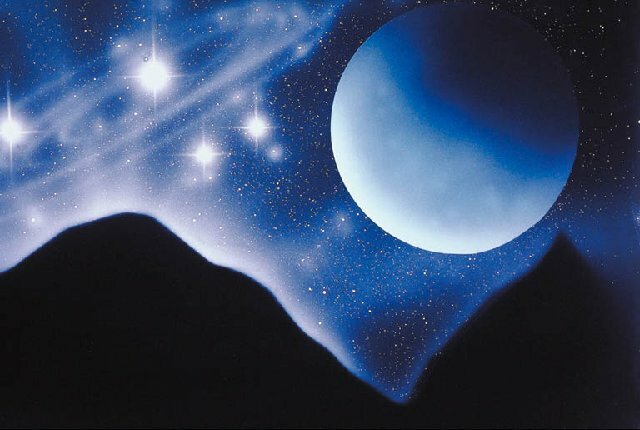 Moon in Pisces is a time of strong psychic qualities, especially intuition, even when the Moon isn’t Full. Now we come upon the Full Moon in Pisces and it’s a Blue Moon to boot! If you can imagine it, you have a strong chance of manifesting it now! 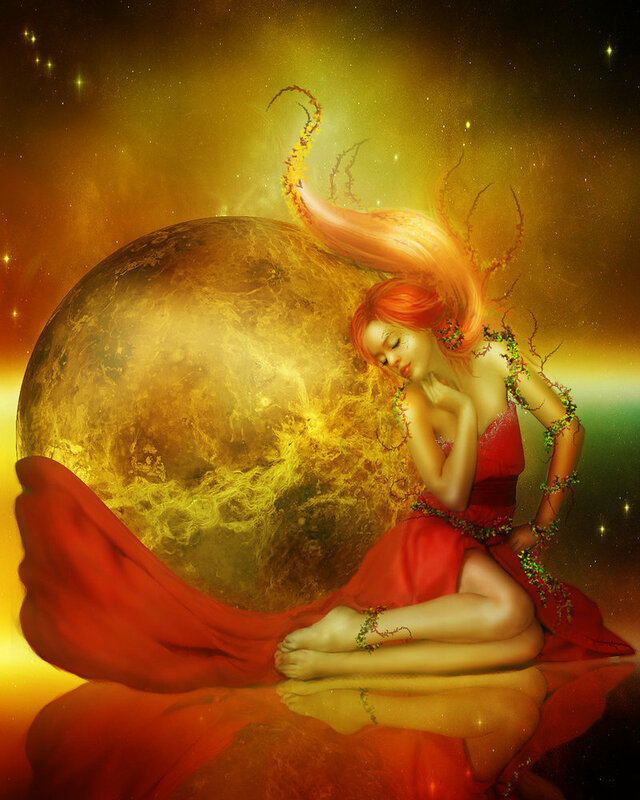 Add into this potent mix, the Sun in Virgo and you have a restless combination eager for change! This is not the time to let fear or doubt stop you…the planets are giving you the energies to make dreams and wishes come true! Held in love each moment. As the smoke rises upward, imagine your message being received. Blessed Blue Moon to you all!!! On that same day, Friday, August 31st, at 10:32 p.m. EDT, Mercury will enter Virgo. This is a strong position for Mercury, as it rules Virgo. This is such an intellectual combination that emotion, whether your own or that of others will often be forgotten. This makes it not such a good time to deal with other people, for some. The energies of this transit make it an excellent time to deal with anything where detail is involved. The downside being that it can sometimes make one tedious in speech and writing. It is an excellent time for learning, although what you will learn easily now may be forgotten just as easily. Any health concerns should be watched, but not worried about. There is also a tendency to be over-critical that could bear watching. Overall, it’s an excellent time for being practical, taking care of detail and writing! On Thursday, September 6th, at 10:46 a.m. EDT, Venus moves into Leo. Hmmm, the planet of love in the sign of the heart! This is a time of warm feelings and geniality. There is kindliness and people can be very magnanimous under the influence of these energies. If you are into theater, this is an excellent time to express yourself there. Even in every day life you will see people competing for the center of attention now – some being real prima donnas. Just smile! It’s only the influence of Venus in Leo! Because Venus is about beauty and art, being in Leo is an excellent time for sculpture, painting and other artistic forms. The influence of the energies of this transit can bring a great deal of joy into your life. Tap into it and celebrate! National Grandparents Day is Sunday September 9th this year. A national holiday since 1978, it celebrates the important contributions made by seniors down through history. Always celebrated the first Sunday after Labor Day, it was started by Marian McQuade of Oak Hill, WV. The flower of this holiday is the Forget-Me-Not and, since 2004, there has even been a national song for this day – “A Song for Grandma and Grandpa” by Johnny Prill. It’s good to celebrate the ancestors – whether they’re still living or have gone on before us! How quickly I have come to the end of another issue of Musings…time certainly does fly!!! Until we meet here again, may the Sun and Moon illuminate your path and may the stars guide your way! This entry was posted in Astrology and tagged Energy Medicine, Higher Self, Holidays, Law of Attraction, Metaphysics, Paganism, Self-Empowerment, Self-Healing, Self-Help, Spirituality, Transformation, Wicca. Bookmark the permalink.